Help yourself to a generous slice of Victoria sponge, a perfect cup of tea and a big dollop of romance. Welcome to the Little Village Bakery. Meet Millie. Heartbreak has forced her to make a new start and when she arrives at the old bakery in the little village of Honeybourne she is determined that this will be her home sweet home. Her imagination has been captured by the tumbledown bakery but with no running water and dust everywhere, her cosy idea of making cakes in a rural idyll quickly crumbles. Luckily the locals are a friendly bunch and step in to help Millie. One in particular, Dylan, a laid-back lothario, soon captures her attention. But just as Millie is beginning to settle in, an unexpected visitor from her past suddenly turns up determined to ruin everything for her. It’s time for Millie to face the skeletons in her closet if she’s going to live the dream of running her little village bakery, and her blossoming romance with Dylan. We all know where I stand with this type of book, I was approved for it on netgalley sometime last year, so its sat for a while and I cannot believe i have not read it sooner. As part of my 30 day reading challenge, this was one of the first books I picked up. A trip to the village of Honeybourne is exactly what I needed. Millie has fled from heartache, and she was doing really well selling cakes before so why not buy a bakery and make a business of the one she can actually do. It shouldn't take her too long to fix up the run down bakery. However, when Millie arrives in the little village of Honeybourne, it quickly becomes clear there is more to do than Millie bargained for. Lucky for Millie though - the village is a friendly one and everyone doesn't mind mucking in, especially Jasmine and her brother Dylan. Jasmine has everyone's best interests at heart, and quickly warms to Millie - but so does her brother. Dylan has a slight reputation around the town, but there is something about Millie. With a blossoming romance with Dylan, and a blooming friendship with Jasmine, can Millie keep the past from catching up with her? Tilly has created a warm friendly village, that has its residents best interests at heart. The characters all have their faults and flaws, but they are so natural that you wouldn't even think twice about them - its just like all of us. 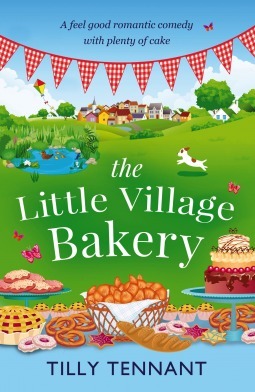 The village has a perfect small community feel and you would love to stop by for a visit with a cup of tea and cake when the Little Village Bakery opens. There is enough drama and mystery to push the narrative through, but light hearted enough for a beach read. I loved this so much and I cannot wait to visit Honeybourne again and have a catch up with everyone. Tilly Tennant was born in Dorset, the oldest of four children, but now lives in Staffordshire with a family of her own. After years of dismal and disastrous jobs, including paper plate stacking, shop girl, newspaper promotions and waitressing (she never could carry a bowl of soup without spilling a bit), she decided to indulge her passion for the written word by embarking on a degree in English and creative writing, graduating in 2009 with first class honours. She wrote her first novel in 2007 during her first summer break at university and has not stopped writing since. 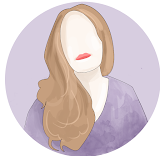 She also works as a freelance fiction editor, and considers herself very lucky that this enables her to read many wonderful books before the rest of the world gets them. Tilly is represented by the wonderful, gorgeous Peta Nightingale at LAW.